This is the official application for Skepticality, the Official App of Skeptic Magazine and the Skeptics Society. 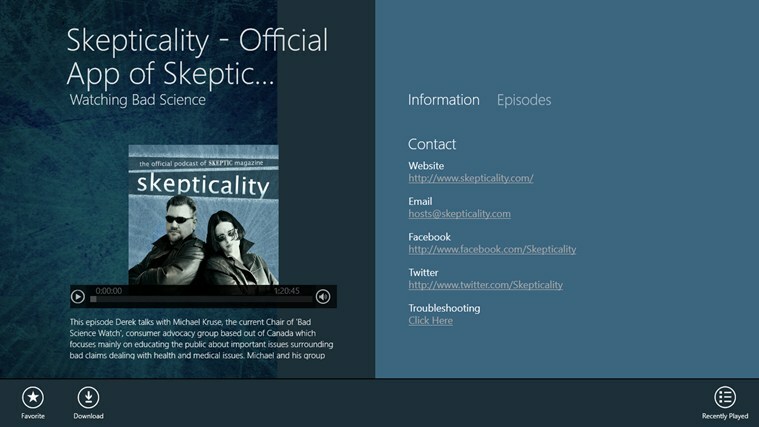 Get access to all the Skeptical discussion, critical thinking, science, and de-bunking of the supernatural and psuedoscience that you can take! 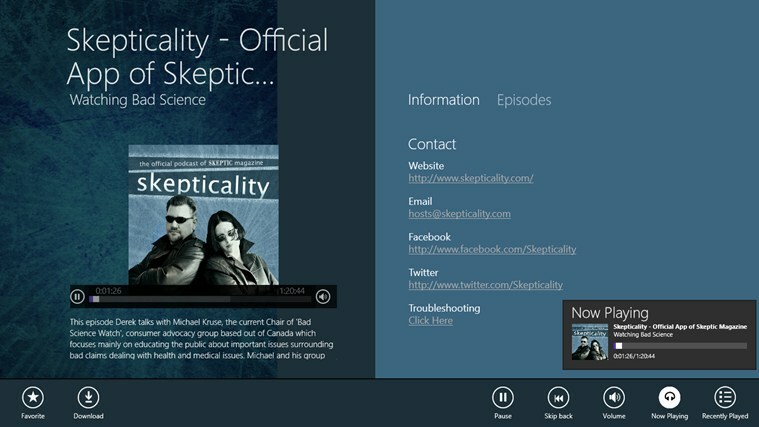 Enjoy your science fix, and engaging interviews on the road. New episodes are published every week! Copyright 2015 Windows 10 App Store All rights reserved.